Who Is Friedrich D. E. Schleiermacher? Who is Friedrich Daniel Ernst Schleiermacher? (a) A nineteenth century German theologian? (b) A pietistic pastor with a funny name? (c) The father of liberal theology? (d) Or the unknown philosopher whose views on religious experience have shaped much of evangelical theology? How about (e) All of the above? Amazingly, Schleiermacher’s approach to theology has both influenced two hundred years of liberal theology and is still influencing evangelical thought more than two-centuries later. While most who know his name associate him with liberalism, many who do not know him are unaware at how much his brand of Christianity is being reproduced in Christendom today. For that reason, the question “Who is Friedrich Schleiermacher?” is of vital importance today. The influence of this nineteenth-century German theologian on contemporary theology can hardly be overestimated. Although most Christians have never heard of Schleiermacher, his ideas about religion in general and Christianity in particular have trickled down to them through the theological education of their pastors, denomination leaders, favorite religious authors and college teachers. 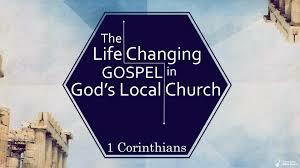 His influence is subtle but persuasive in Western Christianity. He is to Christian theology what Newton is to physics, what Freud is to psychology and what Darwin is to biology. That is to say, he may be the absolute authority, but he was the trailblazer and trendsetter, the one thinker subsequent theologians cannot ignore (Roger Olson and Stanley Grenz, 20th-Century Theology: God & The World in a Transitional Age [Downers Grove, IL: IVP Academic, 1992], 39). Olson and Grenz’s appraisal needs qualification but is broadly correct. Just as Freud and Darwin have set the pace for certain kinds of (secular) psychology and biology, so Schleiermacher has blazed a trail for liberal theology–the theology usually associated with mainline denominations. However, as in the case of psychology and biology, the conservative world has not been unaffected. Where Christian psychologists and biologists must interact with the secular or evolutionary theories of the day, so conservative theologians must interact with the liberal views that arose from Schleiermacher. Yet, another qualification is needed. Schleiermacher’s theology is not just “out there.” His feelings-based, experiential form of religion has permeated conservative evangelicalism. Even in churches that confessionally affirm the inerrancy of the Bible and the objective work of salvation, many live by their feelings. They look for the next word from God to them, the next experience. Instead of walking by faith that is grounded in God’s specific promises, they walk with an ambiguous God conscience and God dependence. Just listen to the banter of Christian radio. What Matt Papa has recently critiqued in his thoughtful series of posts on CCM is nothing but Schleiermacherianism (I know, that is mouthful). But it is true. On the other side of the “Battle for the Bible”– a battle that continues today–most evangelicals are uninformed about the pernicious battle for the Christian mind. The goal is not to commend his theology or his method, but to show how his theological method is similar to what passes as standard fare among many evangelicals today. My hope is to introduce this man and his theology, so that we will be better able to see the way his kind rationalistic Romanticism has infected the church today. I fear that unless we learn to see this hyper-subjective brand of Christianity, there will be many for whom the gospel will implode–theology will become anthropology. This happened in the past with classical liberalism, and it could again happen among evangelicals–especially among those who are emphasizing the personal, subjective experience over the sovereign act of God in salvation. Of course, we need both, but in our day, the pendulum needs to swing back toward the objective work of Christ. I believe getting to know Friedrich Schleiermacher may be the historical figure to help us see the far-reaching dangers of experience-based Christianity. And hopefully, it will bring us back towards the unmistakably God-centered gospel where the Triune God is the Lord of salvation (Jonah 2:9). 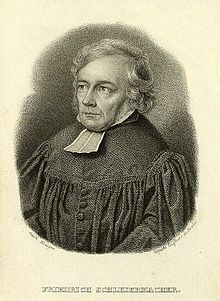 This week, I will be running a series of posts on Schleiermacher–his life, theology, and its impact on evangelicals today. Hope you will tune in.